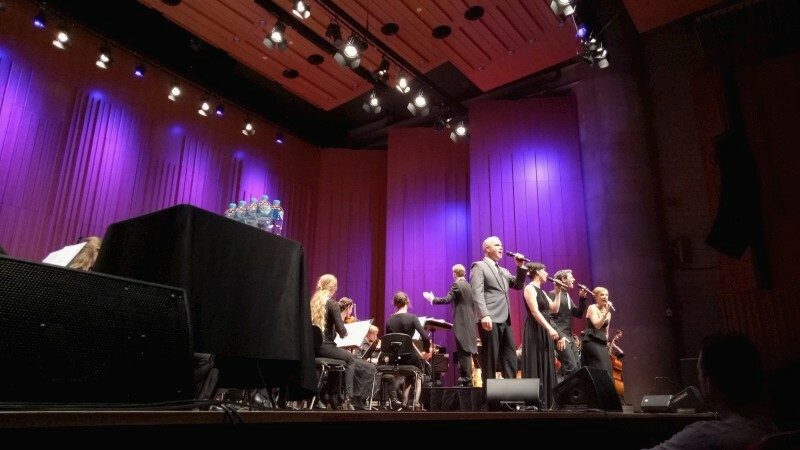 This was the first concert of the Canberra International Music Festival 2017 and it was a veritable potpourri. 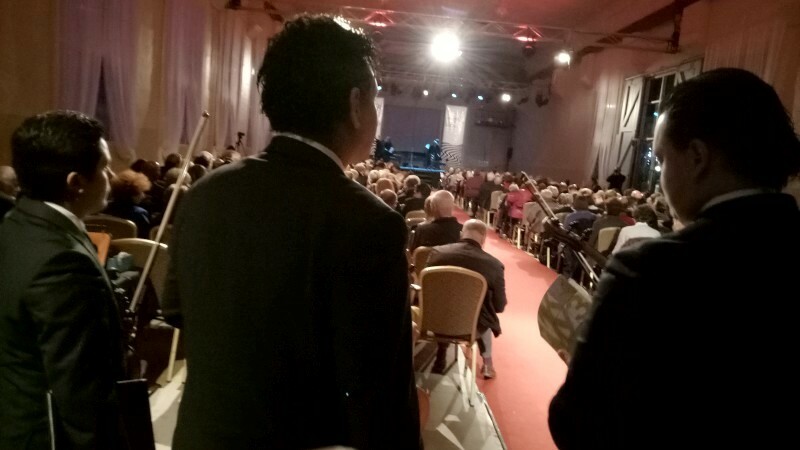 No surprise there; it was promoted as the Gala opening : a world of music. obviously touching on a range of performers and styles coming up in the festival. Festivals are not easy things to organise and I was surprised by some of the names: they hadn't been on the brochure, released well before the program. But nothing lost: these were great and fascinating players. First up was Luminescence Chamber Choir with William Barton on didj, a world premiere called Beaver blaze, based on White Australia, the poem by Oodgeroo Noonuccal. 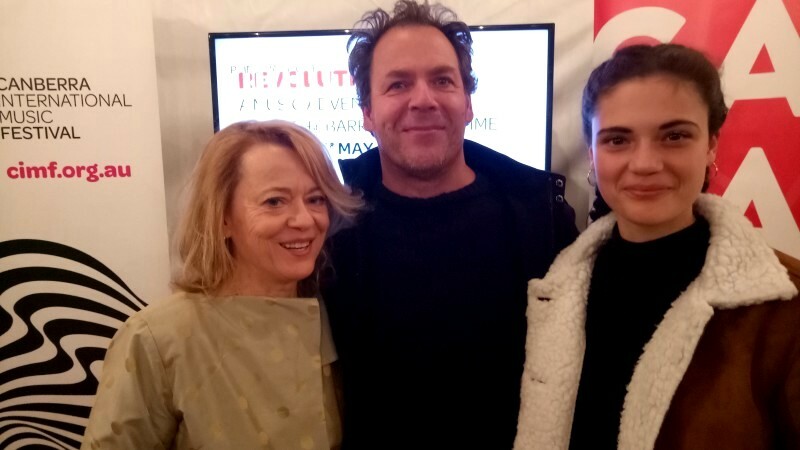 The theme of the Festival is Revolution, after all, and this was profound. Then Lisa Moore starting with Bach then through a lithe and flighty Schumann Bird as prophet to end with a modern piece by Rzewski. 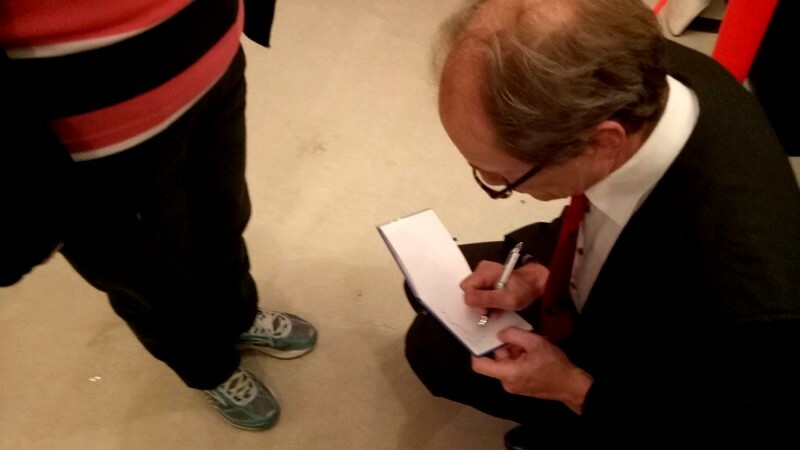 He was a new name for several I spoke to (me too) but he was also well received by several: my little survey suggested a discerning and adventurous audience. I was particularly taken by Lisa's estimable sense of time: firstly in the firm and resolute Bach then in the delicate, featherweight Bird as prophet. Then my passenger, Alex da Costa and his Strad, played some duos with Roland Peelman. Phenomenal technique, wonderful loud tone. Yes, it's a Strad but you need technique to get that from it. Stunning tone and chops, playing Vitalia, Prokofiev Montagues and Capulets, Tchaikovsky, de Falla. There's a good bit of performance here and prodigious capability and an alluring instrument to boot. 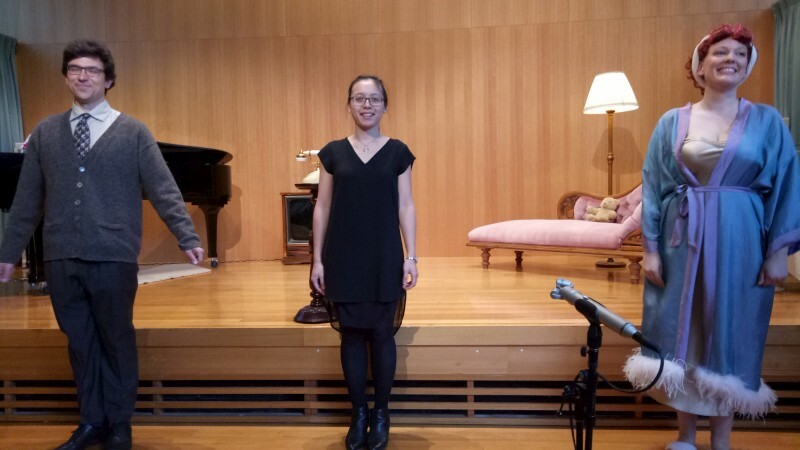 Then interval and an Australian premiere from composer Chen Yi, currently at the ANU School of Music, Yangko, played by Alex with Roland and another on Chinese percussion. Interesting to hear Alex doing something outside the mainstream: no surprise that he did it with ease. The Simon Bolivar String Quartet are visitors from Venezuela. They played Shostakovich String quartet no.8 C min op.110 with satisfying intonation and lovely moving instrumental focuses. Again, very well received. 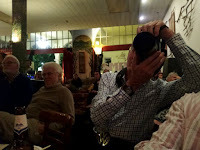 And an end with a composition by ex-Canberra now-Brisbane bassist and composer, Robert Davidson, with renowned didgeridoo player, William Barton, Landscape, played by string quartet, guitar, didj and harpsichord. I'm looking forward to hearing more from Robert later in the programs. Then drinks and a celebration of the opening of the festival. As always, CIMF looks fascinating and cleverly themed, let alone its musical capability and profundity. 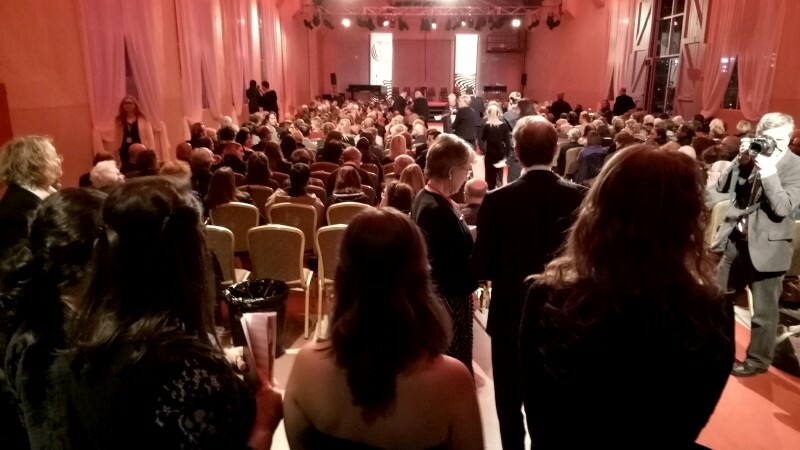 The CIMF 2017 opening gala concert featured William Barton (didgeridoo), Clive Birch (bass vocal), Luminescence Chamber singers, Alexandre da Costa (violin), Minh Le Hoang (guitar), Lisa Moore (piano), Roland Peelman (piano, harpsichord, percussion) and the Simon Bolivar String Quartet with members Alejandro Carreno and Boris Suarez (violins), Ismel Campos (viola) and Aimon Mata (cello). Maybe not so cheap. 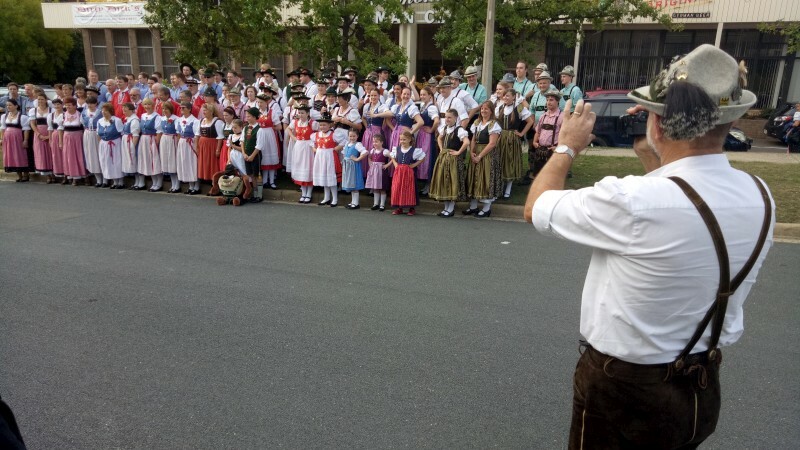 This year we are not billeting but I am a driver for the Canberra International Music Festival. First up was an airport collection for Alexandre da Costa. 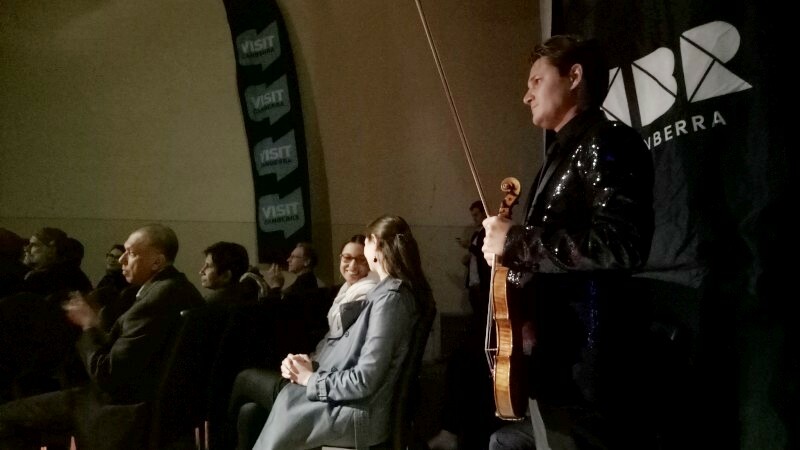 Alex was a Canadian child prodigy violinist and now is a multi-CD (25) Sony artist, multi-award winner, performer with various of the biggest orchestras in the biggest locations and also associate professor at WA's Edith Cowan University. I expected to recognise him easily especially given a violin case, but they are so small (mine is a larger instrument) but we found each other and chatted and I drove him to his hotel. So, the not-so-cheap thrill? 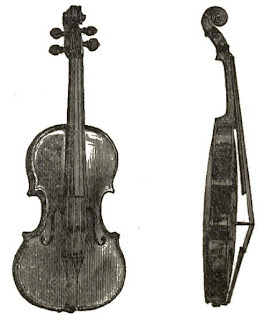 The Stradavarius in that diminutive violin case. I'd read he also plays a del Gesu, but he confirmed this was a Strad. I've seen Strads and the like in museums (Met, Ashmolean, perhaps others) but never transported one with its esteemed player. Suffice to say, I drove carefully, for the pickup and his later departure. Alexandre da Costa (violin) and his Stradavarius Dubois (1667) visited Canberra for CIMF 2017. Now this was a blast. Baritone David Smith introduced the truncated performance of American rhapsodies in its serious sense, of the American period after WW2, when hopes for democracy and freedom were high and serious music was made from popular American music and European opera was reimagined as a popular art. Thus we had Some enchanted evening, that entrancing melody from that famed musical, South Pacific, one of the classic musicals, famed for dealing with more serious themes. And we had Rhapsody in Blue, Gershwin's fabulous work of classical awareness with popular exuberance. [Interestingly, RiB was commissioned by Paul Whiteman and originally scored for piano and jazz band]. 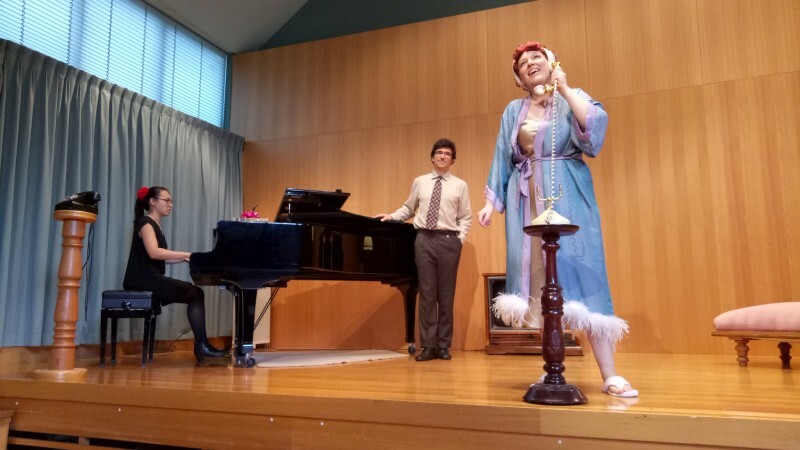 And a strange but amusing thing from Menotti, his short opera buffa called The Telephone, in which the female protagonist interrupts her beau's profession of love by taking and making phone calls. 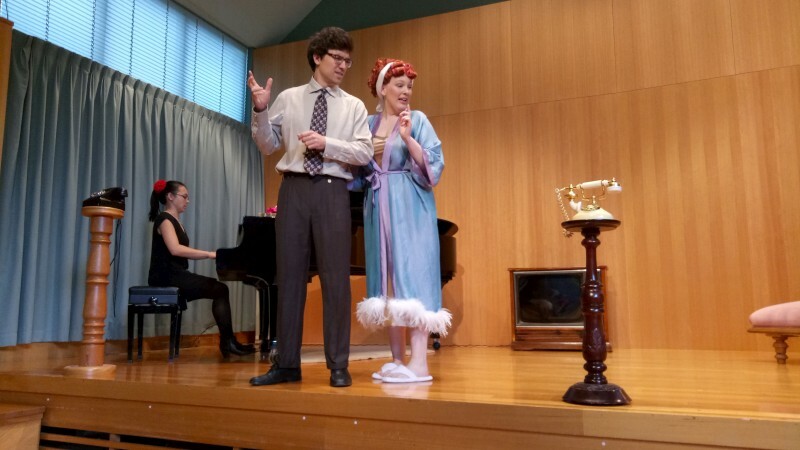 David and accompanist Emily performed Enchanted evening straight, revelling in the melody and sentiment. Fair enough: it's a beautiful thing. 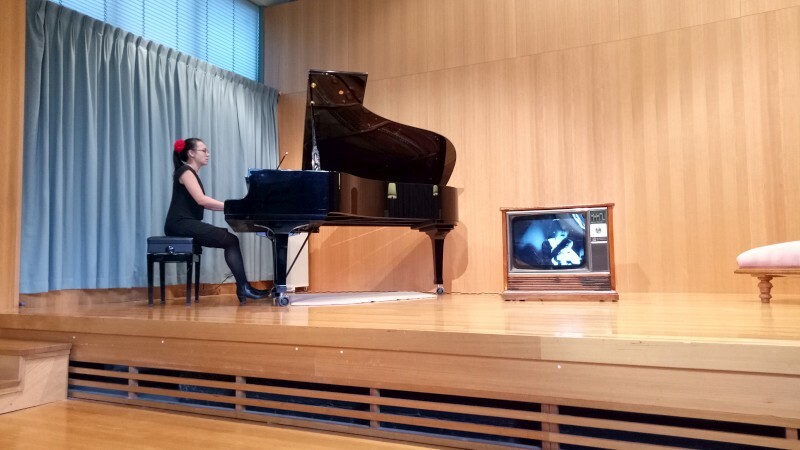 Then Emily performed RiB for solo piano with an amusing but apt video of snippets from B+W films of the era (streamed to a genuine old HMV B+W TV. Lots of slinky dresses and natty moustaches and kisses and fearful swoons, a ridiculously muscled Tarzan and many famous faces. I enjoyed both but had to draw myself away from the video to listen to Gershwin's fabulous piece. It just shows the power of visuals. 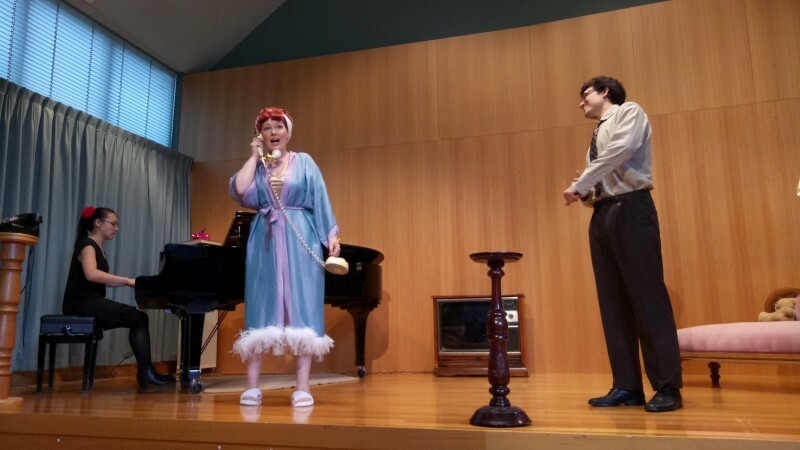 Then Louise hamming it up as the loved one in rollers, obsessed with her new tech telephone and her girlfriends' chatter over it, while David, the beau, about to depart, is interrupted in presenting a ring. Poor Louise, not knowing what she's missing, but it works out in the end ... over the phone. Very hammy, very period funny, very well done, great singing. Louise's voice was a veritable powerhouse of thrilling, trilling soprano. All a great entertainment with some well practiced skills treated with appropriate seriousness. Fabulous is apt. 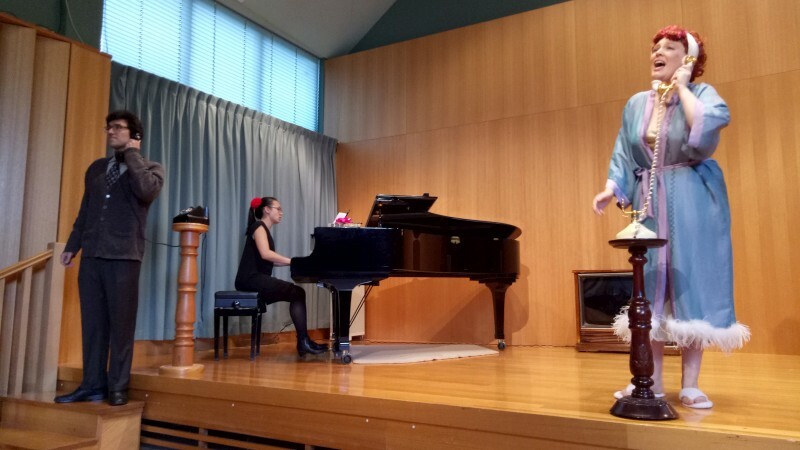 Louise Keast (soprano), David Smyth (baritone) and Emily Leong (piano) performed American Rhapsodies at Wesley. Our choir has an annual workshop with some invited local choral luminary. 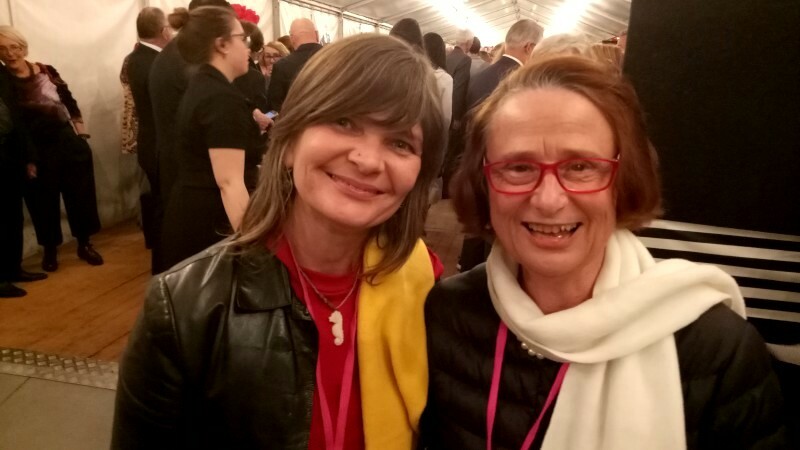 This year it was AJ America, a recent arrival in Canberra, here to study history, but we know her for her choral exploits, which are not to be demeaned. 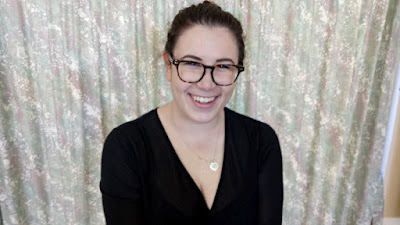 They include Gondwana choir, touring internationally, soloing for Baz Luhrman, performing under Michael Tilson Thomas and Zubin Mehta; she's currently singing with Luminescence Chamber Singers, at the CIMF and more. I could believe it given the fine and strong voice we heard at our workshop. 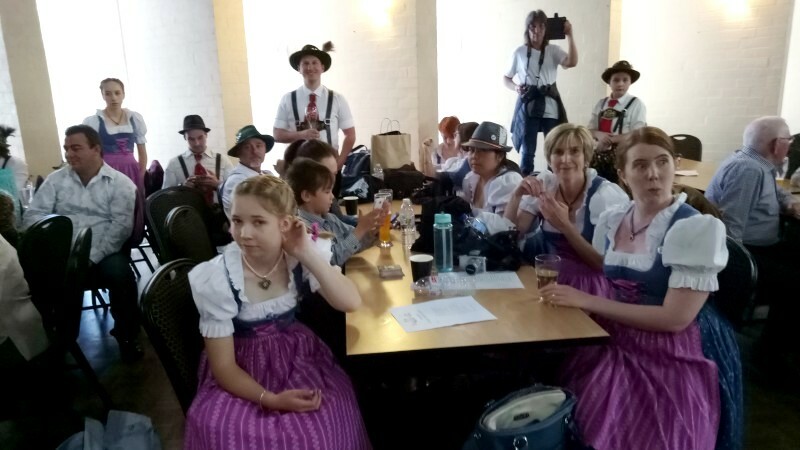 Just a few snippets, as she demonstrated or led us in learning two new works, Bogoroditse Devo by Rachmaninov and a strange and humourous one written at a choral camp at ANU, The longest German word (see the original on YouTube). This was an energetic and fun if demanding session with one of our local choral stars. Thanks to AJ. AJ America gave a workshop to Harmonia Monday choir. I'd forgotten how pleasant a drive in the country can be. These days my country drives are on highways, multiple lanes, quick but industrial. AdHoc Baroque were reprising the performance that I missed the other week but this one was at Gunning. Gunning is little and very pretty with its period architecture. 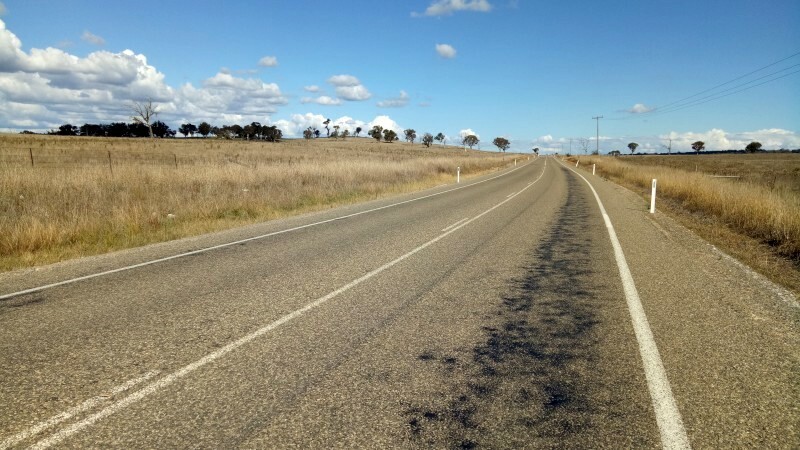 It's just off the Hume but, from Canberra, a country drive through Sutton and Gundaroo. The day was clear and warm and calm and the road was quiet. A pleasure. 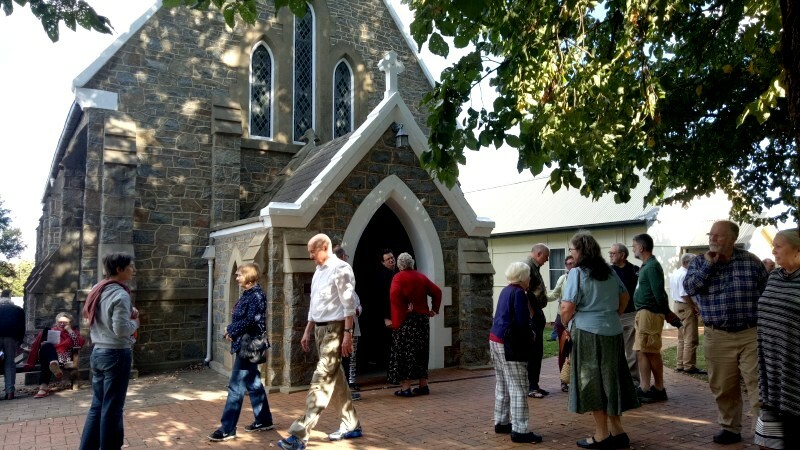 I arrived to find a wildly cute little church (St Edmund's Anglican, 1863) and a bevy of locals in attendance. Then the music. 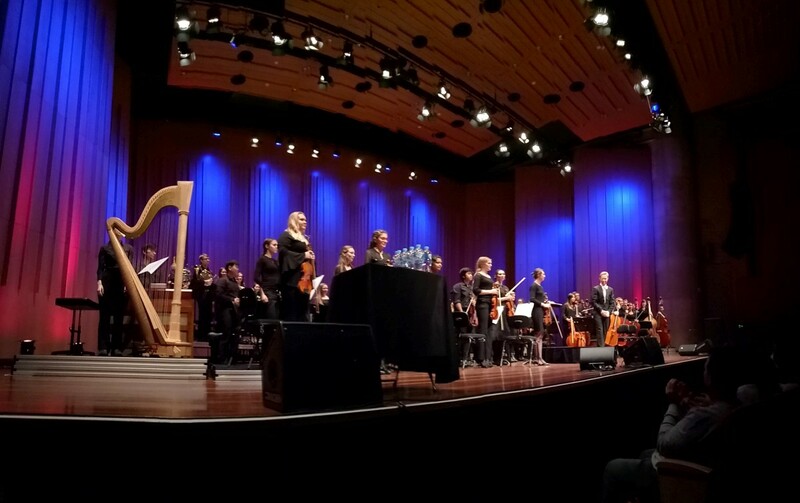 The second Australian performance of Brunetti Stabat Mater (the first was by AdHoc a few week before) and probably only the 4th or 5th performance in the modern world. 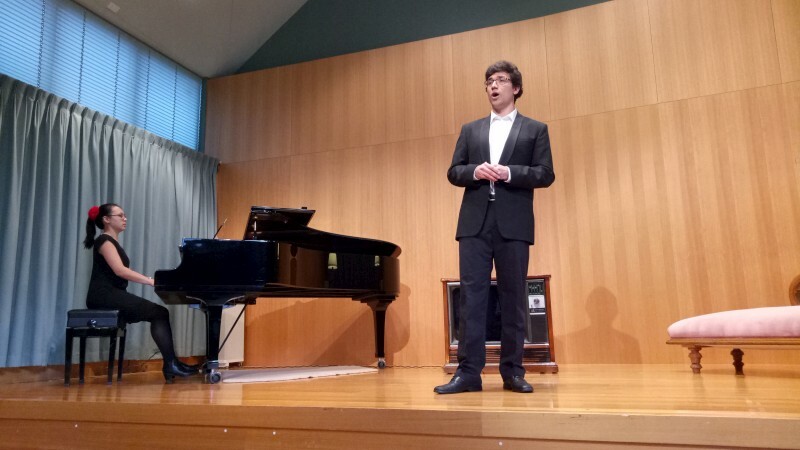 Leader Peter Young had obtained a copy of the original manuscript from Viennese YouTube performers who had used manuscript copies from a local library (Zentral Universitatsbiblioteck, Zurich). Not available in commercial or other editions, so not widely performed. Brunetti was the feature. 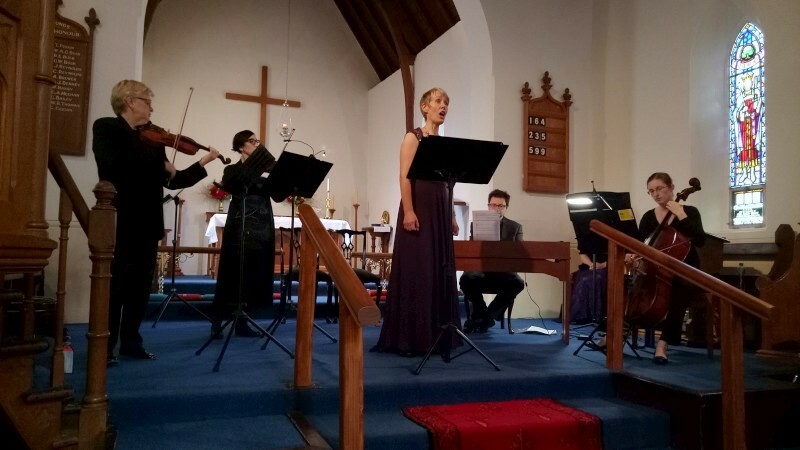 The rest of the program was religious music of the era, Scarlatti Salve Regina, Charpentier Magdelena lugens (sung by Maartje) and Stradella O vos omnes (sung by Greta). All written for female voices and small forces that suited AdHoc Baroque, with its soprano and alto pairing up front and a few strings and organ. 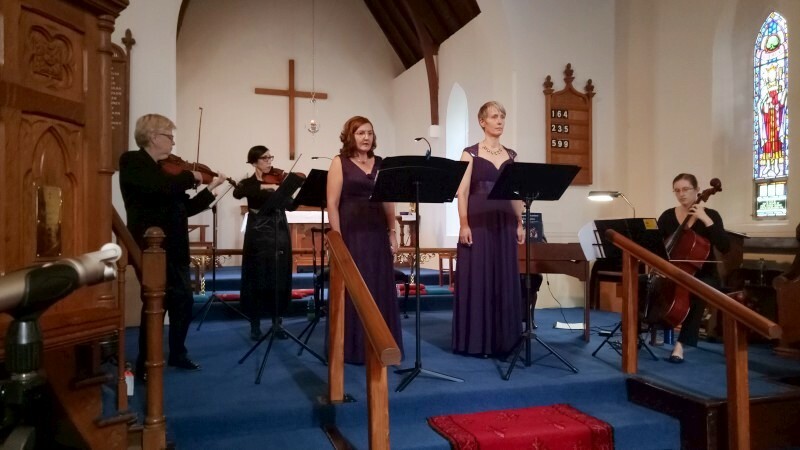 The strings were Clara on cello, the CSO pairing of Barbara Jane and Pip on violins and Michelle joining on viola for the Brunetti. And Peter leading from organ keyboard, of course. This is such delightful music with various lively solo passages or dolorous with the themes of the dying Jesus and the accompanying women - Mary and Magdelene. The title of the concert was Mater Dolorosa. For once I followed the words and attempted the Latin/English translation. It was worthwhile and revelatory to understand the theme as it passed through various stanzas and associated emotions. Such dignified music, sometimes uplifting or dolorous or heart-rending, sometimes playful with counterpoint or fugue, not least from the vocals, always immensely beautiful. This music is always an intellectually satisfying and emotional delight and with AdHoc we have a group that is expanding the repertoire through Peter's extensive editing of original scores. A local treasure. 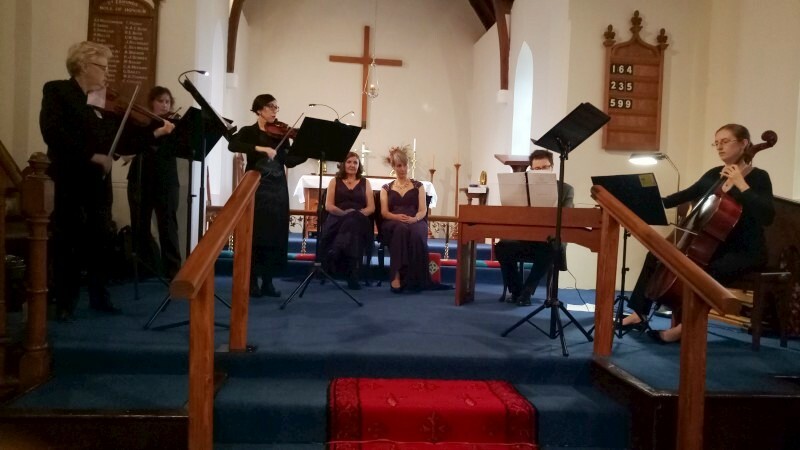 AdHoc Baroque performed Brunetti, Scarlatti, Charpentier and Stradella at St Edmund's Anglican Church at Gunning. 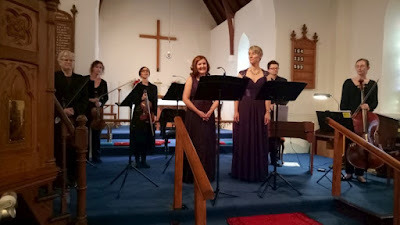 AdHoc comprised Peter Young (director, organ) with Greta Claringbould (soprano), Maartje Sevenster (mezzo-soprano), Barbara Jane Gilby and Pip Thompson (violins), Michelle Higgs (viola) and Clara Teniswood (cello). catholic as in tastes. Jess half apologised that Pheno was not jazz but we knew that (I was there; Geoff wasn't) but then she went on to say the first track was jazzish. It started with a steady drum beat in 4, then moved to a syncopated guitar line accompanied with Jess on a unison vocal (George Benson? ), then a synth wash in the background, some harmonies, some African-like crossing rhythms, a heavy synth bass line and layered lines from Jess' looper. Looking very good. Rock steady, unforced, easy to hear and a lovely intro: welcoming, insinuating. That one was called Little toys. Next up was There are voices, a long tune, some dirty 4/4 drums and distorted rock guitar, some relieving refrains, developing percussion from a stick claps then overlaid vocals, floating spaces, into 3/4 bars with drum fills to bar ends. There are just three players, but they sound big, what with unrelenting drums and synth shimmers and electronic bass and varied guitar effects and loops and the three layers of vocals. All women, which is nice to see. It's too infrequent in jazz; more frequent outside. I expect Jess writes all the music - as I understand, Jess is Pheno. I think I feel a woman's awareness of life, here's a discrete one: "I am old, I'm from the beginning, you were once a gill-beater like me ... come down deep where the secrets are living, I want you to return to the sea". Next up was Slingshot, heavy, guitary, less structured like the last. Little thing was a personal song from Jess alone on stage with guitar and mic, dedicated to daughter and coming son. Dragon year was a good old-fashioned rock tune in 4 with dirty guitar and singing against kick drum and punkish twisted phrases and a touch of beach. Jess is well trained and well experienced and the professionalism shows a mile, and she's got a deliciously understated but capable offsiders, Alyx and Bonnie. Wonderfully inventive pop, she calls it Afro-Sci. This was the tour for a new EP, presumably the tracks of the new EP, to be performed the following day at Cobargo Folk Festival and elsewhere. I'm sure it would have gone down a treat - it certainly did at Smiths. Folk? Jazz? Afro-Sci? We are all catholics these days and this was a huge treat. I loved it. Jess Green (guitar, vocals) is Pheno. Pheno performed at Smiths with Alyx Dennison (keys, vocals) and Bonnie Stewart (drums, vocals). It was Luciana Harrison who was the warmup for Pheno. Luciana is part of a renowned local outfit, Pocket Fox and another called Orange. I've yet to really hear them, but Luciana was an impressive lure. She's essentially a singer-songwriter, original songs accompanied on electric guitar, but what songs! I was impressed. Heart-felt and sensitive, colourful lyrics; varied musical structures, unexpected intervals in melody and added or lost beats in rhythm. Intelligent stuff. 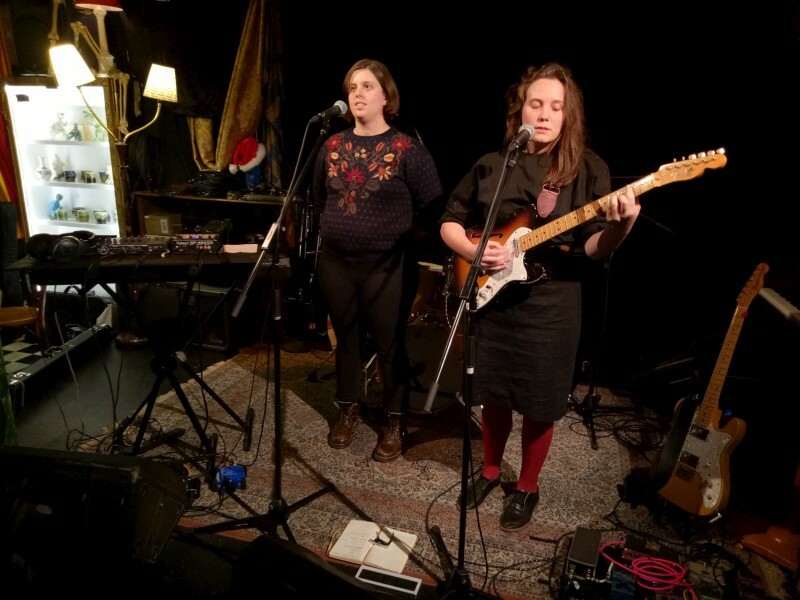 Luciana was accompanied for a few tunes by a fellow PF alumnus, Nicola Hearn, providing tight harmonies and even attempting one she'd not heard before (bravely with some strange faces). But I was taken by the clever music. Not for nothing that Pocket Fox was TripleJ Unearthed. A band featuring Luciana's songs with a range of jazz and otherwise trained players: a winner. Luciana Harrison (vocals, guitar) was accompanied by Nicola Hearn (vocals) at Smiths. First up I wondered if I'd run into some religious sect, this being Easter Sunday and the dress being conservative and out of time. 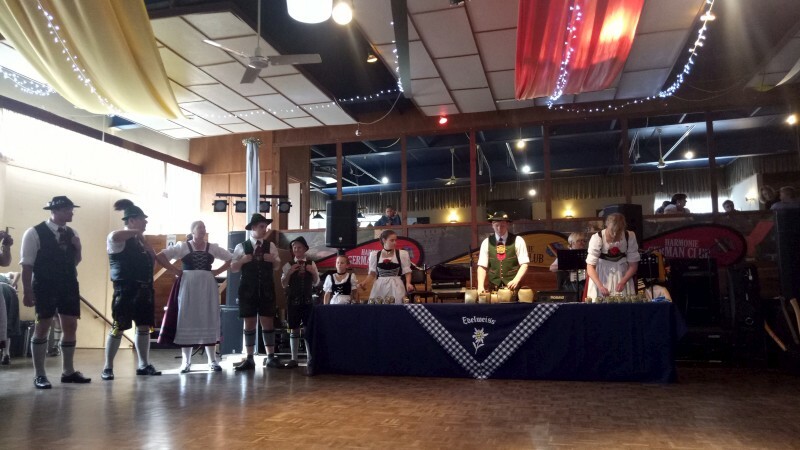 It certainly wasn't the Blues Club that I'd expected to be on at the Harmonie German Club that afternoon. But it turned out to be much more noisy and joyous: Volktanzfest 2017. 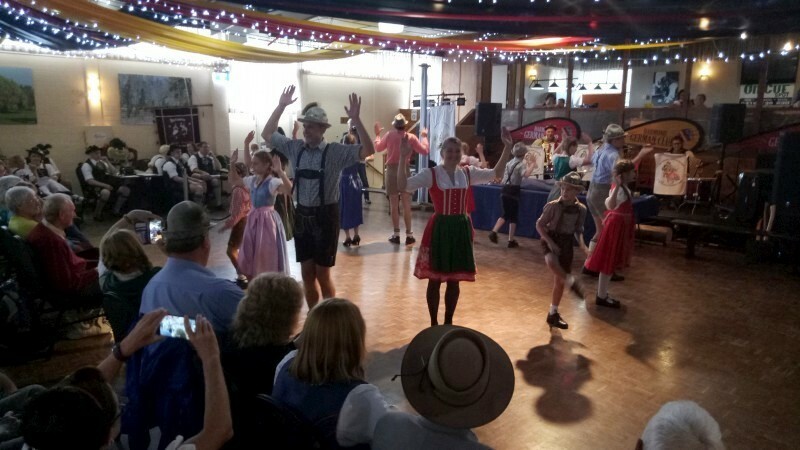 It's a biennial get together of German, Swiss and Austrian folk dance clubs from around Australia, this year with a visiting group from Austria. How inviting and how much fun this was! 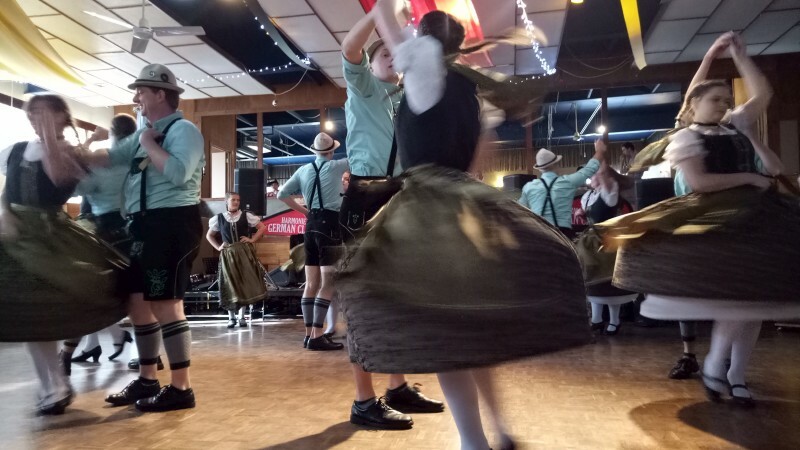 It was the second day and I left 90 mins into the program that would go on to the evening, after many beers and lots of good friendly cheer. Plenty of slap dancing and playful claps; one bell ringing performance; piggy in the middle dances (the guy in the middle misses out on a girl so sweeps the middle with a broom until the next break of music); hints at Sound of Music (really this was mostly Eidelweiss but one group did the Farewell song from SoM); all ages, all sexes. 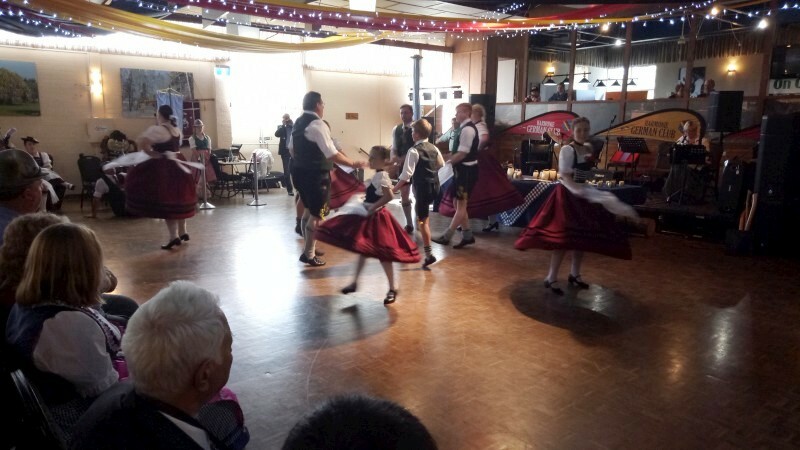 As is generally common in any Australian dancing, guys were short so sometimes girls danced boy roles (some innocent non-binary here if not at the ANU). 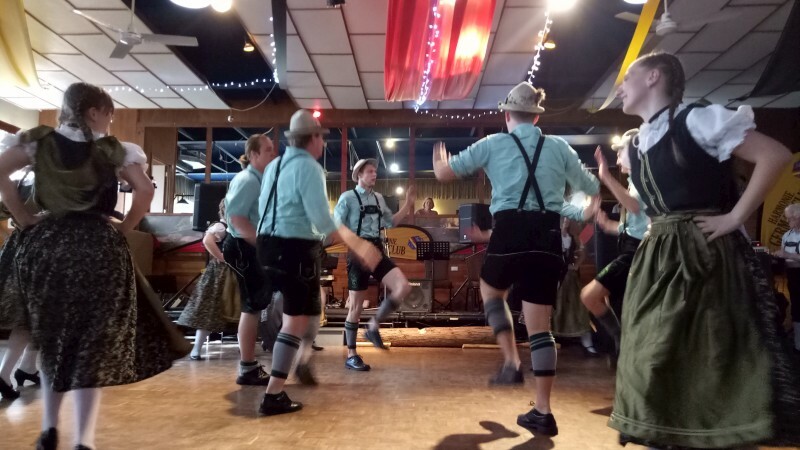 Some groups had their own band (mostly various accordions), perhaps with drums; some had recorded music; sometimes we clapped or sang along (Wooden heart, Eidelweiss) but this was mostly waltzes and, I guess, polkas. Lots of dressing up. 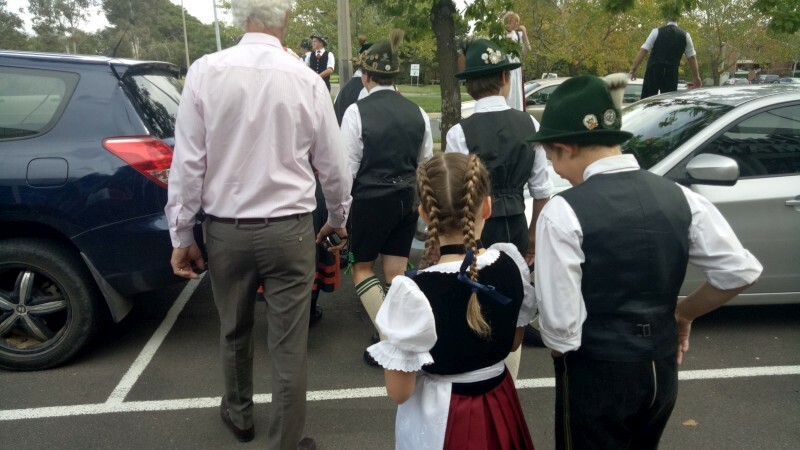 I particularly like the guys' gear, the lederhosen and tassled hats, mostly decked out with multiple badges. I was told the difference between braids and plaits (braids are close to the skull). 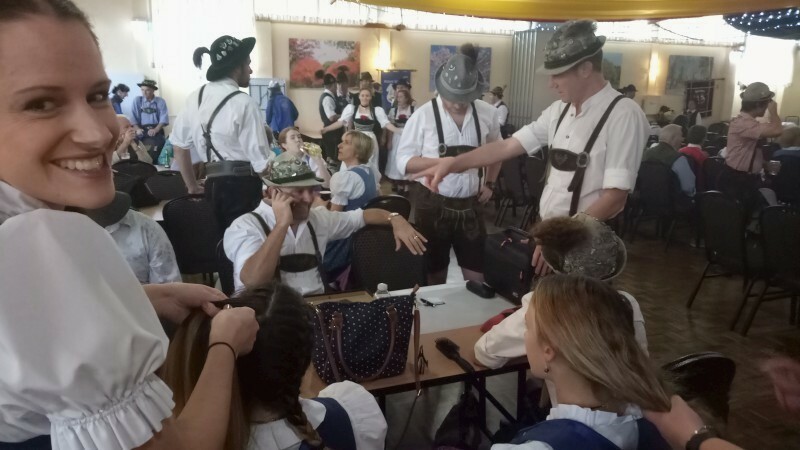 There was plenty of braiding in the audience in preparation for performance. [PS: after later checking the Net, I find no agreement on the difference between braids or plaits, if there is any difference]. So, no blues or folk festival, but I had a great time at Volktanzfest. 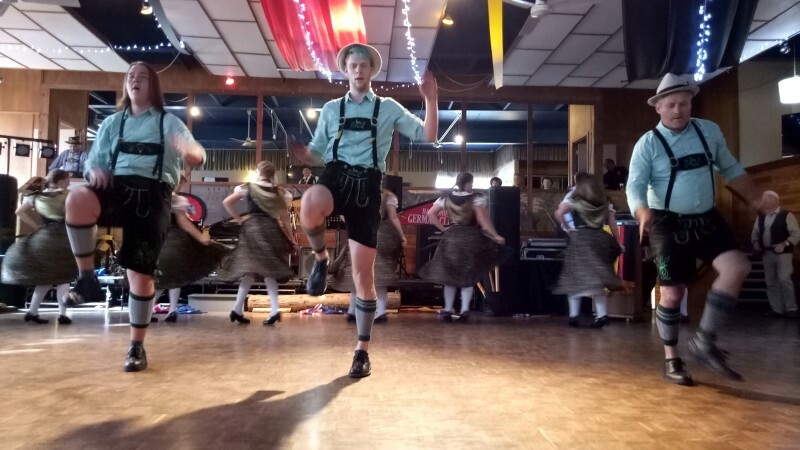 The next one is Volktanzfest 2019 in Brisbane. 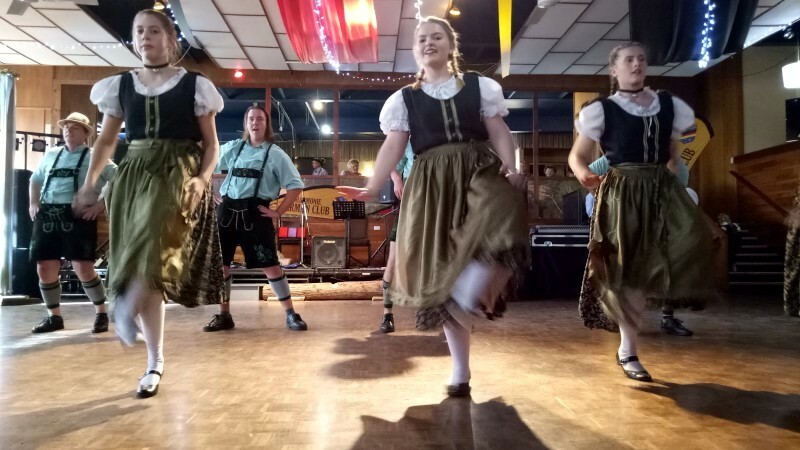 Volktanzfest 2017 (German Folk Dancing festival) was held at the Harmonie German Club over two days in Easter. 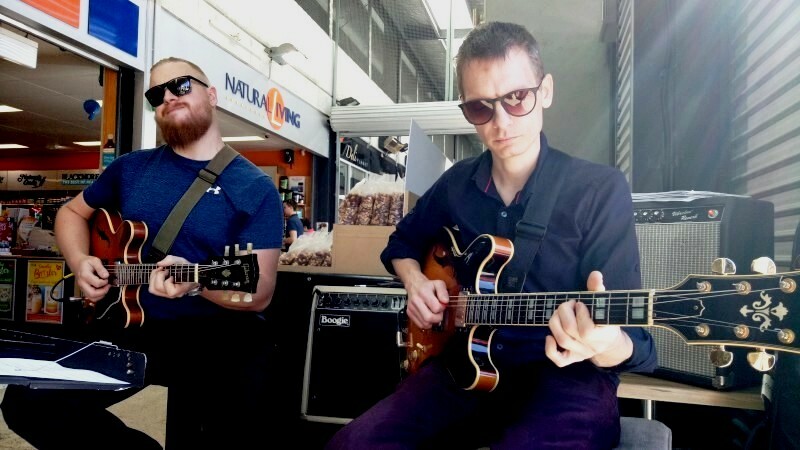 It was pot luck to catch up with Daniel Hunter and Victor Rufus playing at the Fyshwick market when I dropped in to shop on Easter Saturday. Especially good luck as they are both about to go overseas. In a stroke of happenstance, they both leave on Tuesday. Daniel's going back to Paris where he's resided for a decade; Victor's off to NYC for a several months. I joked I'd see him on the SmallsLive video feed sometime. (It happens: I recently saw a bassist I met in New Orleans on the Smalls feed). Their playing was a huge pleasure. 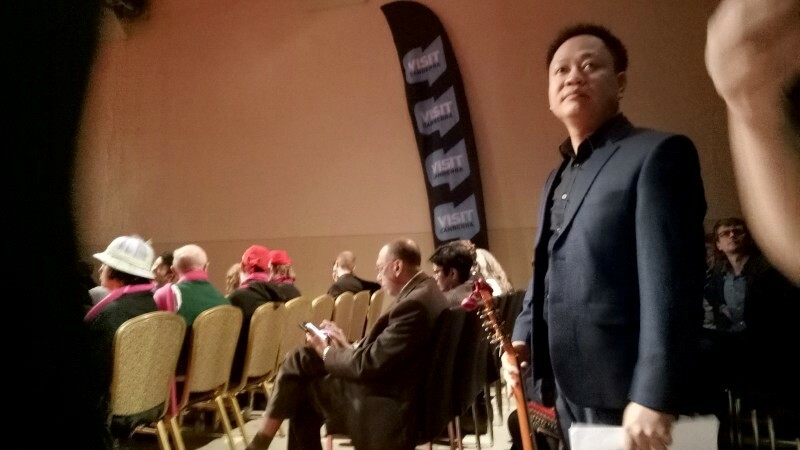 I sat to listen to a few standards and a Daniel original. Such interesting guitar playing, sharing lead or comping or sometimes soloing together. Daniel the quicker and less distorted; Victor the dirtier and bluesier-edged; both finger picking for comps. Different but a pleasure together. I quipped we were losing all our guitarists on one day. Not quite (there are a few others...). It's a background gig and most just go about their shopping, but a cappuccio on such a nice day with such capable music is a great pleasure. Daniel Hunter and Victor Rufus (guitars) played at the Fyshwick Market. The answer is Molly's, -35°16′46.45″S 149°7′35.23″E. 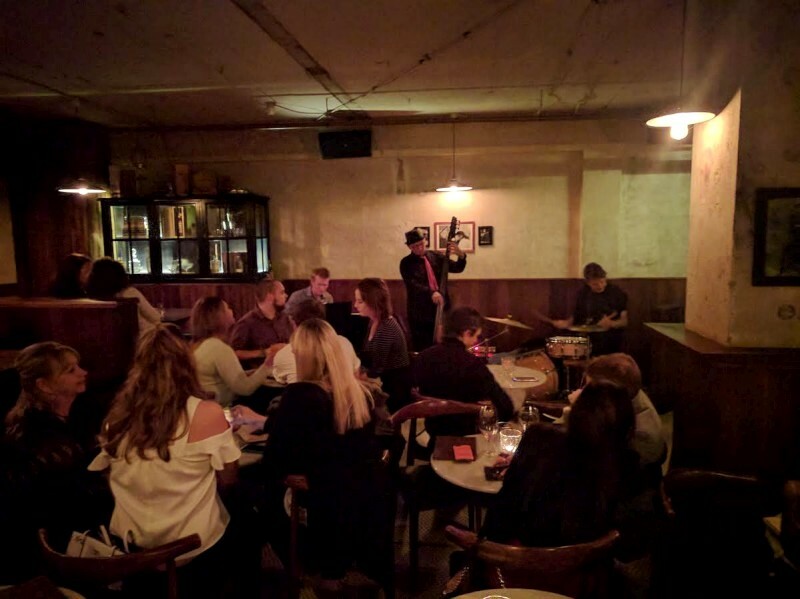 It's an amusing twist for this bar of considerable discretion (speakeasies are like that). Molly has a website and a FB page but its address is its latitude and longitude. And when (if) you arrive, there's just a pale period light above a door and a cement stairway to a basement. Amusing. But it's noisy and alive inside. So, a great little gig. 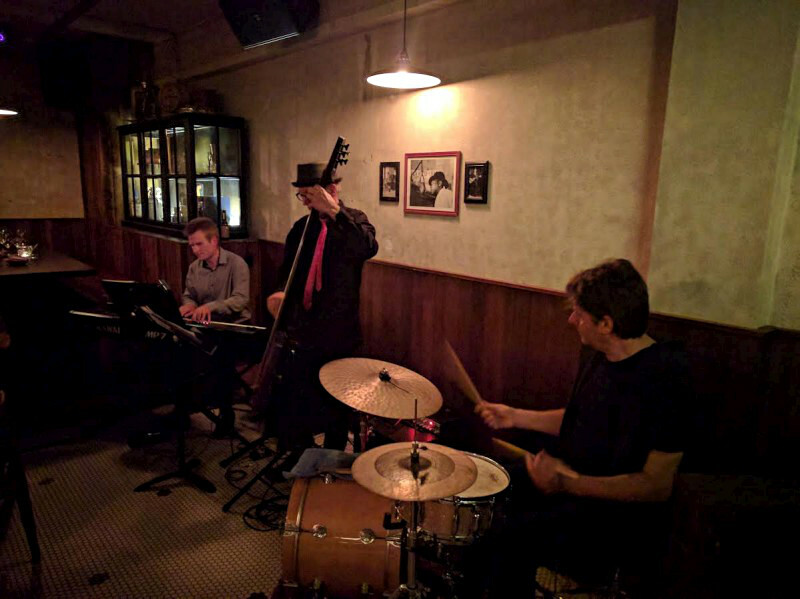 Molly's has jazz on Tuesdays 7-10pm. And jazz also at Hippo Wednesdays 8-11pm and Smiths Alternative Thursdays 7-9pm. Mid-weeks are jazz nights. 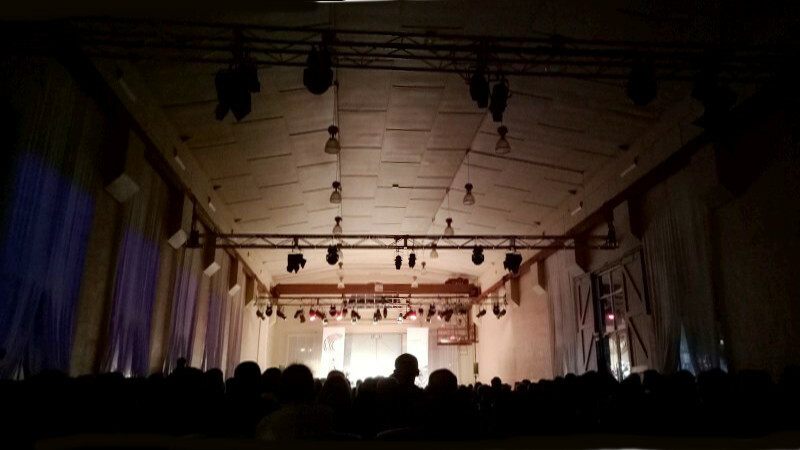 Whatever, we had a good time and the audience was attentive. 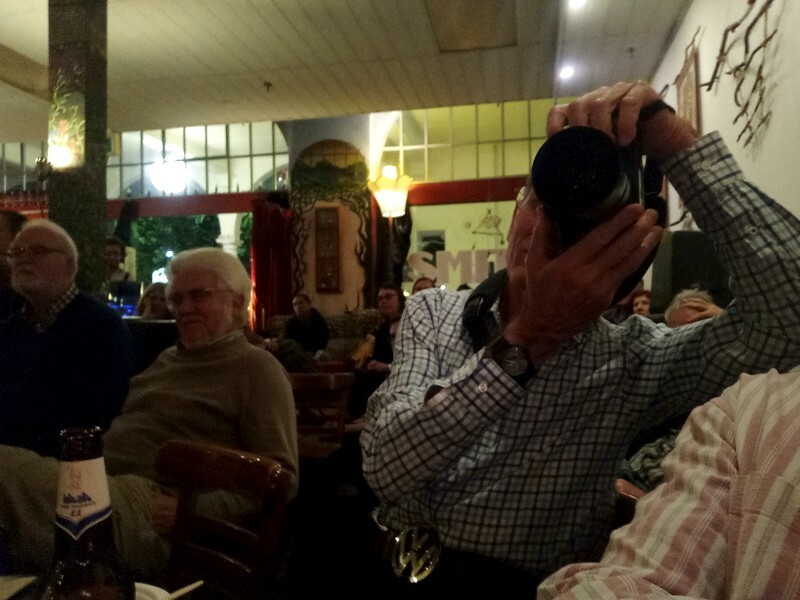 And cheers to Pal dal Broi who was there on the night. All good fun. Tilt played at Molly's. Tilt are James Woodman (piano), Eric Pozza (bass) and Dave McDade (drums). This was great fun, like a family get-together. Elise Walsh out front, releasing her new Bella Groove album. With her regular band of Victor, John and Steve. 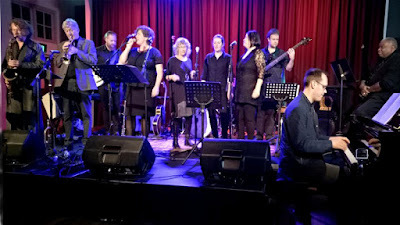 With various guests invited for her CD and to play at the release, John, Miro, Eric, Hugh and backing singers Francine and Juanita and Sharon who doubled on vocals and keys. A big performance of a series of tunes from Elise's CD including some originals. Should we (dance) was a love song; City of yes was an ode to politcal involvement; Open your mind was an affirmation; City lights celebrated city life. Also original lyrics to modern jazz tunes and some borrowings from Mike Murphy and even some funky Motown originally from the Messengers. Eric apparently grew up listening to that one on the radio. Nice to hear an old favourite that's not too common, Coltrane's Naima. But this was like family. Everyone knew someone or many others, so some good cheer. So much so, the red wine expired and the local pub was mentioned for afters. And a lovely twist: included with entry was a copy of the CD. What a great idea to get your work out. There was some seriously good playing, too, from some seriously good players. There was good sound and a video recording, but mostly the good cheer of Elise and her wide jazz family having a good time. I'm looking forward to sitting down with the CD. Until then, good cheers and some very nice music. 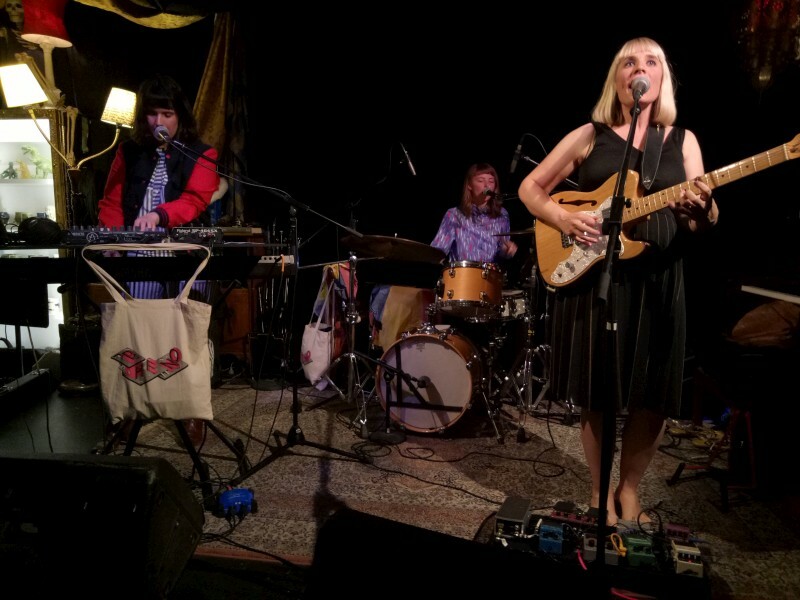 Elise Walsh (vocals, flute) released an album under her band name, Bella Groove, at Ainslie Arts Centre. With here were her normal band, Victor Rufus (guitar), John Burgess (bass) and Steve Fitzgerald (drums) and guests John Mackey (tenor), Miroslav Bukovsky (trumpet, flugelhorn), Eric Ajaye (bass), Hugh Barrett (piano), Francine Minjoy and Juanita Cucinotta (vocals) and Sharon Robinson (vocals, keyboard). 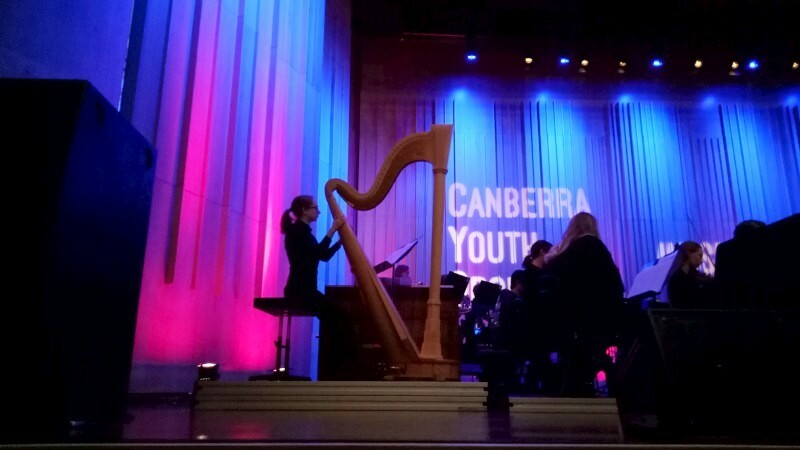 It was the start of the 50th anniversary season for the Canberra Youth Orchestra and it was jazz. Well, jazz as crossed over via film and classics but close enough. The guests were The Idea of North, once formed in this very institution, now a seriously capable vocal quartet. 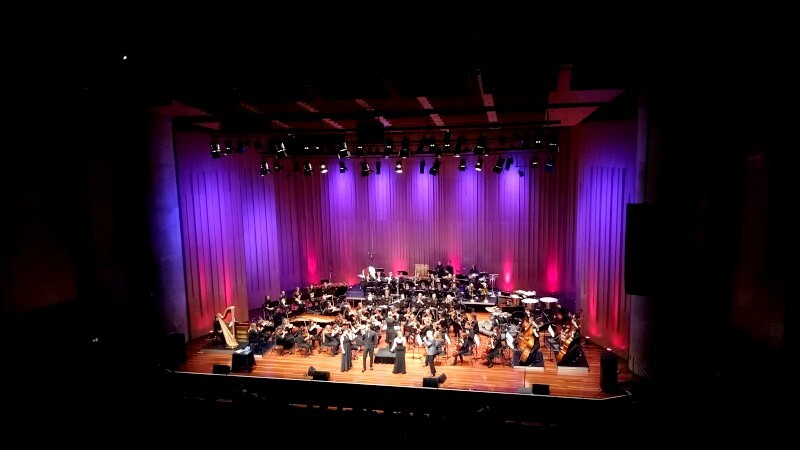 They were backed by the orchestra for most songs, but did one or some parts alone. I liked them best then, when I could really luxuriate in the fabulously precise and complex harmonies. That's the great pleasure of a vocal group and it can be lost to some degree, from backing and from a necessary but intrusive PA. (I have learned that all PAs are intrusive to acoustic sounds; to my ears, only some mega-costly outdoor PAs have come very close to transparency. Not that I don't love PAs but that's another story). The orchestra was a pleasure even if it inevitably intruded on the sublimity of isolated vocals. They played with care and interaction and a good sense of swing, often playing the role of a massive big band. For big they were: ~77 players. But best from the orchestra was their solo spots, two from Bernstein, his Overture to Candide, but more so, the tragic and dramatic mix that is his Symphonic dances from West Side Story. WSS is a personal lifetime highlight, the film, the tragic and touching music, the fabulous dance, the mirroring of the Romeo & Juliet story, the politically-relevant themes. The symphonic work plays with this, calling up stories and images from the film (and presumably the original Broadway show), the rumbles, the loves, the losses. Tragic and touching, sentimental but real. I love it dearly and I loved to hear it live and they did it with gusto and a slightly rough edge at times. CYO came more to date with the Suite from How to train you dragon, but it's too late a film for my experience. Otherwise, the songs were standards, again some of my favourites: Secret love, Smile. A final Mas que nada, a '60s latin hit. A take on It don't mean a thing that was arranged by Naomi Crellin and conductor Leonard Weiss. Interesting and effective. Also a lovely take on Send in the clowns. But entertainment was never far from the surface; these are professional singers and they have to make a buck. So one song featured beatboxing vocal drumming from bass Andrew Piper. Another was a funny song mixing and contrasting F with F#. Not an easy mix, especially one line midway that wasn't just the tonics. And a encore on Isn't she lovely that had the audience and orchestra split into four parts singing harmony. The pitch suited me so I enjoyed that. And perhaps the quirkiest of all, the orchestra playing a Bach fugue, only to be stopped by IoN for them to play it on kazoos. I guess kazoo playing relies on vocals so it worked harmonically, if not so much tonally. So, lots of classy entertainment and a poignant and stirring piece of Bernstein. Nice. 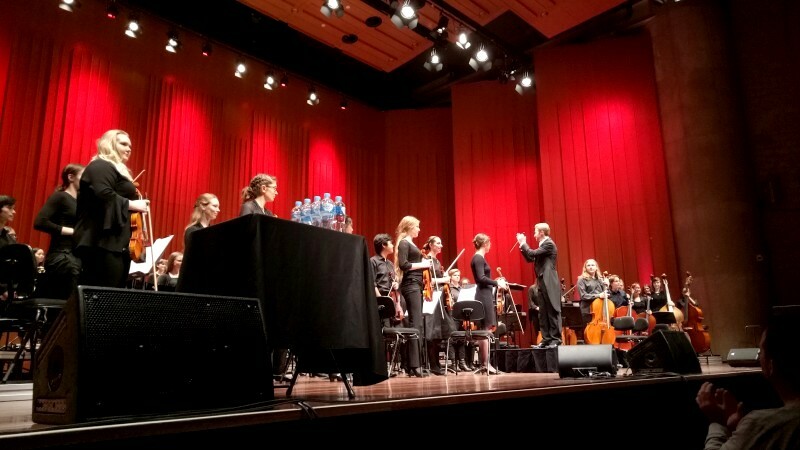 The Idea of North and Canberra Youth Orchestra under Leonard Weiss (conductor) performed at LLewellyn Hall. Idea of North comprised Trish Delaney-Brown (soprano), Naomi Crellin (alto), Nick Begbie (tenor) and Andrew Piper (bass). 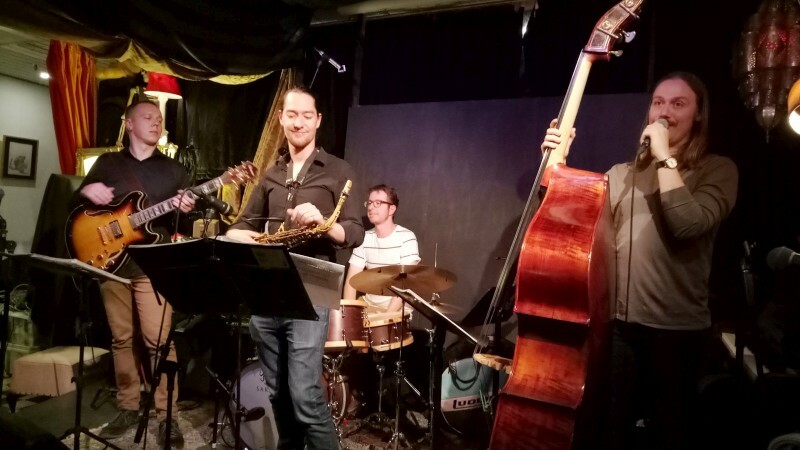 Gareth Hill was back in town with a band he called Slow Code, if only for the night. But what music! Since the virtual demise of jazz in Canberra following the virtual demise of the School of Music, touring visitors are increasingly rare and especially intellectual and musical challenges like this. 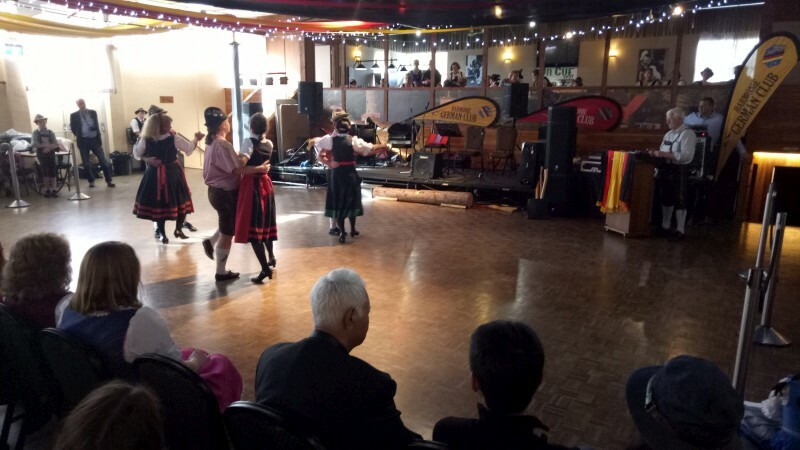 It was difficult stuff - Jack Beeche was warning me of that before, as one of the performers. Gareth was launching his CD called Slow Code. It's a product of his PhD research into the music of Henry Threadgill, renowned contemporary jazz composer. I once caught HT in a workshop at the Jazz Gallery in NYC and reported it on CJ but I found it pretty metaphorical or maybe over-encompassing stuff. 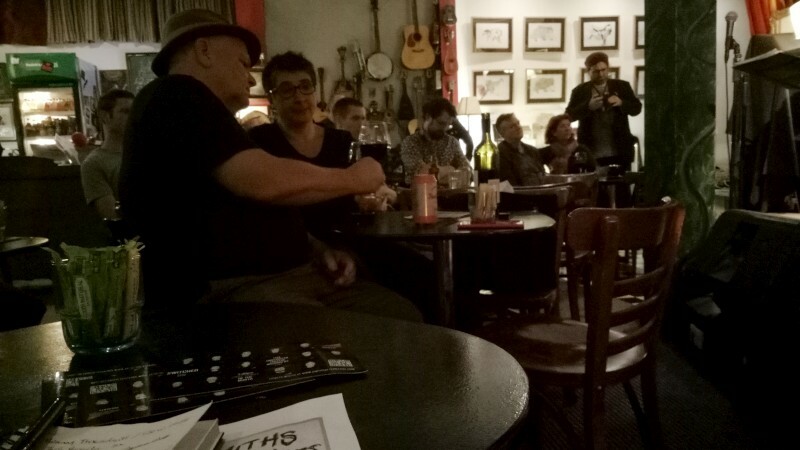 The spiel for Gareth's gig spoke of alternative harmonies, form modulation, improvised counterpoint. Jack showed me a chart and it comprised three staves of heavily syncopated lines for bass, guitar and sax. I had the impression Aaron on drums was also looking at some chart, perhaps that for the others. But this was a base only, a guide for playing or improvising at will. I think Gareth also gave advice on order of solos, etc, so that's the form modulation. He certainly spoke of HT changing tunes most time he plays them. As Jack joked, this was not a gig for after a few drinks. I might add, for the audience too. This was highly rich in harmony and dissonance, fleet of foot with change and improvisation, highly interactive with guides but also glances. Everyone played with great competence. Gareth, with his lovely rounded tone, not particularly speedy but wonderfully inventive in intervals and rhythmic play; Dan all speedy on guitar, dropping in harmonics or finger picking clusters; Jack with a wonderfully satisfying alto tone, sometimes quick, often slower and considered and thoughtful; Aaron strong but anomalous with unexpected hits and only toying with standard grooves. It was a stunningly inventive and difficult but satisfying exploration of rhythm and harmony and interplay. Mostly the tunes were Gareth's following HT, other than Dan's Sermon and Jack's Scooping and Monk's Ugly beauty, perhaps via Bernie McGann. A fabulous and enlivening detour through some of the most inventive of music. 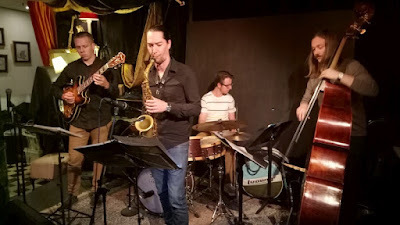 Gareth Hill (bass) launched his album Slow Code influenced by the music of Henry Threadgill at Smiths. The band was Gareth with Jack Beeche (alto), Dan Mamrot (guitar) and Aaron McCoullough (drums) and was called Slow Code, if only for the night.